Welcome to Methodia’s privacy notice. Methodia respects your privacy and is committed to protecting your personal data. This privacy notice will inform you as to how we look after your personal data when you visit our website (regardless of where you visit it from) and tell you about your privacy rights and how the law protects you. This privacy notice aims to give you information on how Methodia collects and processes your personal data through your use of this website, including any data you may provide through this website when you sign up to our newsletter, request a demo or service or take part in a any of our campaigns. Methodia is the controller and responsible for your personal data (collectively referred to as Methodia, “we”, “us” or “our” in this privacy notice). Methodia Group is made up of different legal entities located in European Economic Area. This privacy notice is issued on behalf of the Methodia Group so when we mention Methodia, “we”, “us” or “our” in this privacy notice, we are referring to the relevant company in the Methodia Group responsible for processing your data. We will let you know which entity will be the controller for your data when you purchase a product or service with us. Methodia AD is the controller and responsible for this website. You have the right to make a complaint at any time to the Commission for Protection of Personal Data, the BG supervisory authority for data protection issues (https://www.cpdp.bg/). We would, however, appreciate the chance to deal with your concerns before you approach them so please contact us in the first instance. The data protection law in the EU will change on 25 May 2018. Although this privacy notice sets out most of your rights under the new laws, we may not yet be able to respond to some of your requests (for example, a request for the transfer of your personal data) until May 2018 as we are still working towards getting our systems ready for some of these changes. What type of information is gathered during the recruitment process? The personal information that we may collect during the recruitment process is only limited to the information you fill in your CV. In general, it may include your name, contact information such as home address, phone number and email address, your degrees and qualifications, any previous employments, and any social media you wish to disclose such as your LinkedIn profile. During the recruitment process we shall not gather sensitive information relating to racial or ethnic origin, political opinions, religious or philosophical beliefs, medical or criminal records or data concerning sexual orientation unless you willingly provide such information to us or you give consent for the processing of such information. search information providers such as Google, Bing or Yahoo based outside the EU. Generally we do not rely on consent as a legal basis for processing your personal data other than in relation to sending direct marketing communications to you via email or other means. You have the right to withdraw consent to marketing at any time by contacting us. 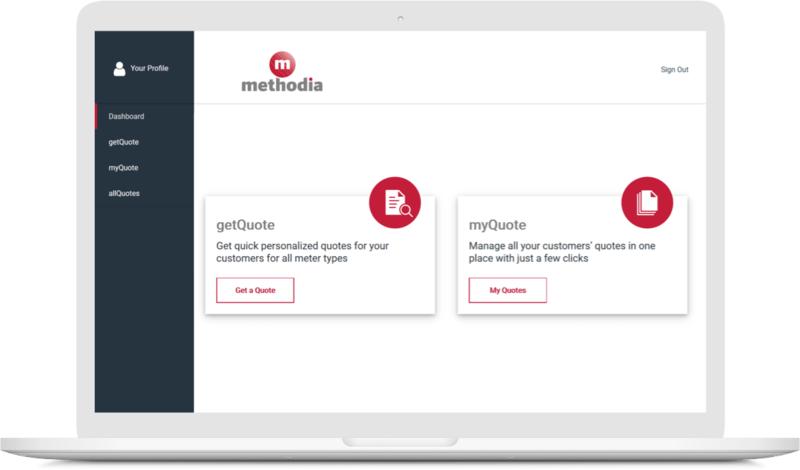 We will get your express opt-in consent before we share your personal data with any company outside the Methodia group of companies for marketing purposes. Internal Third Parties as set out in the Methodia Group. We share your personal data within the Methodia Group. This may involve transferring your data outside the European Economic Area (EEA). By law we have to keep basic information about our customers (including Contact and Identity Data) for six years after they cease being customers for business purposes. In case we send you a targeted email which includes web beacons, cookies or similar technologies we will know whether you open, read, or delete the message. If you click a link in a marketing e-mail you receive from Methodia, we will also use a cookie to log what pages you view and what content you download from our website. By using our site you agree that we can place cookies on your device If you want to remove existing cookies from your device you can do this using your browser options. If you want to block future cookies being placed on your device you can change your browser settings to do this. Currently, “Do Not Track” initiatives are not recognized by our site. Types of cookies and which ones does our site use? A list of all the cookies used on Methodia’s site is set out below by category. Within these four categories, cookies are classified as either session or persistent cookies. “Persistent” cookies remain on your device for a longer period and are used by the website to recognize your device when you return. Methodia uses both session and persistent cookies. · Referrer URL (external page, including if you click on links on Methodia social media pages) – Used to store the URL which refers a visitor to our site so we may understand which URLs are referring visitors to our site. Targeting cookies – These cookies are used to (1) deliver advertisements more relevant to you and your interests; (2) limit the number of times you see an advertisement; (3) help measure the effectiveness of the advertising campaign; and (4) understand people’s behavior after they view an advertisement. They are usually placed on behalf of advertising networks with the site operator’s permission. They remember that you have visited a site and quite often they will be linked to site functionality provided by the other organization. Methodia does not use third-party advertising on our site, so we do not use these Targeting cookies for advertising but we use them for gathering analytics and intelligence about the site.